Aaron Sanders Head is a curator, writer, and traveling, teaching artist based in Nashville, TN. He has worked for The Arts Company as Gallery Associate, Lowe Mill ARTS & Entertainment as Gallery Coordinator/Curator, and the Kentuck Museum Association as Artist Liaison. 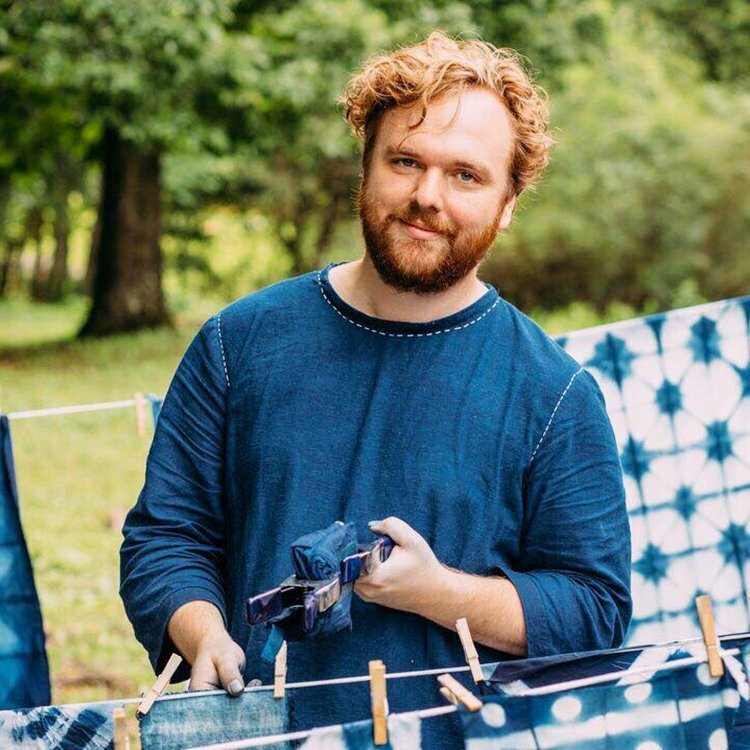 His work investigates, restores, and reinterprets historical textile practices, with a focus on natural dyes, handiwork, hand-mending and hand-stitching. Aaron explores the intersections of practices of the past with contemporary craft, and the ways that sewing and textile arts can aid in increasing diversity and representation in the creative class.